VFS Global, a major outsourcing and technology services specialist for governments and diplomatic missions worldwide, has opened a new China visa application centre in Kuwait. The launch of the centre in Kuwait City marks the opening of a third such visa submission facility in the Middle East after the launch of similar centres in Dubai and Beirut. A joint statement from the Chinese Embassy in Kuwait and VFS Global said residents applying for a visa to China need not visit the embassy to submit their visa applications going forward. The China Visa Application Center in Kuwait City, managed by VFS Global, will proficiently facilitate the end-to-end visa application submission process in a professionally managed and comfortable environment. VFS Global currently operates China Visa Application Centres on behalf of the Government of China in 12 countries across the globe – Kuwait, Algeria, Angola, Gambia, India, Kenya, Lebanon, Madagascar, Nigeria, Senegal, the Democratic Republic of Congo and the UAE. 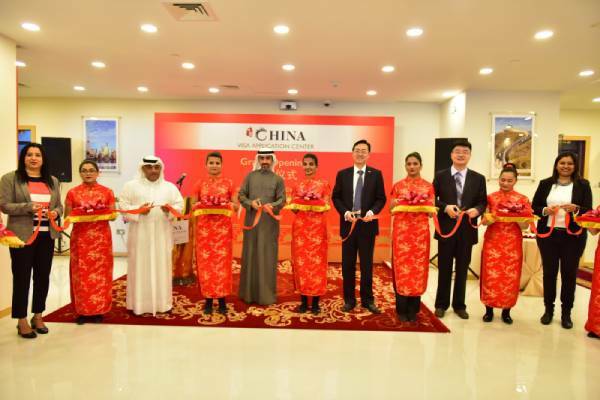 An exclusive ‘China in Luxury’ retail offering, which offers ultra-premium travel experiences in China, was also launched at the China Visa Application Centre in Kuwait City. Through China in Luxury, VFS Global will offer residents of Kuwait customised tourism experiences that open up a world of exclusivity and one-of-a-kind travel in China. The key features of the China Visa Application Center in Kuwait, which ensures an enhanced customer experience, include longer operating hours, professionally trained staff fluent in the local language and English, an Automated Queue Management system for seamless submission of applications and a Premium Lounge for a more personalised submission process.